Four very different importers held press tastings over the last few weeks. O’Briens will be well-known to all; they now have 32 shops around the country, mainly concentrated in the Leinster region, and form a very useful bridge between the multiples and the independent retailer, borrowing a little from each. Certainly they make quality wines accessible to many parts of the country and always have a good range of inexpensive wines available. The staff are invariably well-trained with good wine knowledge. 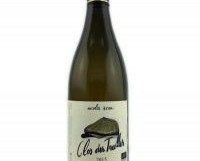 I have featured the Domaine Begude wines before: the 2015 Etoile, a Chardonnay fermented in large oak barrels, would cost twice as much if came from Burgundy. I love it. Marks & Spencer can claim to lead the multiples when to comes to quality. In general, you will pay a little more compared to the other supermarkets, but usually the wine will be that bit better. I like the way it is not afraid to offer quirky wines that you won’t see on the shelves of its rivals. At times, the M&S range approaches that of a good independent wine shop. In recent years, it has championed wines from all around the Mediterranean and eastern Europe. Among many interesting wines, including some great inexpensive summer whites that I will feature shortly, the Lirac below stood out as a very attractive medium- to full-bodied red wine. 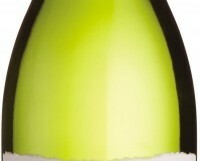 Le Caveau is a leading independent wine importer that concentrates on organic, biodynamic and “natural” wines. Set up by Burgundian and former sommelier Pascal Rossignol 18 years ago, they list a huge range of really interesting artisan wines, including a very fine selection of Burgundy. They have a small retail/mail-order shop (see lecaveau.ie) tucked away a car park in Kilkenny, and also distribute their wines widely through independent wine shops around the country. Proprietor Pascal Verhaeghe of Ch. du Cèdre was at the Le Caveau tasting, despite having lost his entire crop of grapes to frost the previous week. (“Everything!” he told me. “One hundred per cent.”) His Héritage below is a classic mix of traditional and modern. It is also very reasonably priced. Quintessential Wines is run by Seamus Daly. Seamus worked in the restaurant business and for another wine importer before setting up his own business in 2006. He has a small retail shop in Drogheda and offers a nationwide online service, although most of his business is to hotels and restaurants. 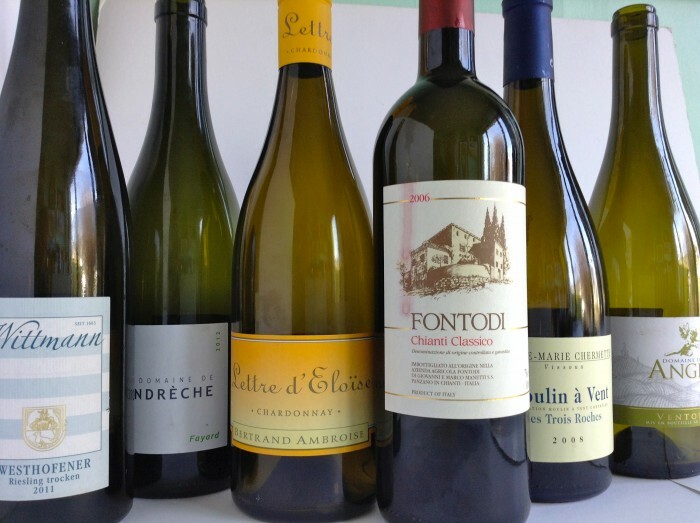 The range is full of interesting wines, of the kind that would not be of interest to many bigger importers. 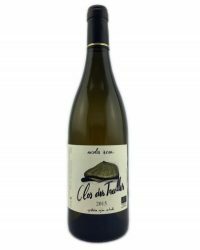 There are plenty of good well-made Albariño available between €10-15; the Zarate below is a real step up in quality, although if you have the money, the creamy rich single-vineyard Zarate Tras da Vina (€29.95) is even more delicious. Gently warming, with oodles of ripe dark fruits, and an attractive grippy quality. 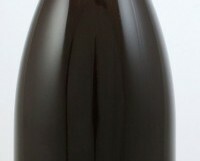 Light savoury blackcurrants and dark fruits with a clean, lightly tannic finish. Stockists: Listons; Donnybrook Fair; McGuinness Wines; Green Man; Redmonds; 64 Wine; Avoca; Blackrock Cellar; Corkscrew; Fallon & Byrne; Le Caveau. a hint of toasted brioche, all held together by a seam of refreshing acidity. A fine complex wine, with concentrated pure pear fruits and a wonderful mineral streak. Stockists: Quintessential Wines, Drogheda; Clontarf Wines; Wicklow Wine; Hole in the Wall. €14.50 from Le Caveau, Kilkenny & McGuinness, Dundalk. 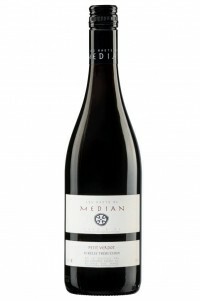 Medium-bodied with ripe dark fruits, good acidity, and medium tannins on the finish. Well-made wine with a bit of structure. It needs a plate of food. I would try this with red meats – grilled lamb chops sound about right. 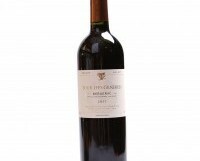 Petit Verdot is a Bordeaux grape, often used in small amounts as part of a blend. Some producers argue that as little as 2-3% makes a big difference to the wine, adding a spicy or peppery note. Others argue that it is very similar to Cabernet Sauvignon, but as they both ripen at the same time (late), it is of little use. 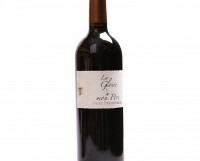 I like the solid dark fruits and structure it adds to a wine, and would like to see more of it in the Languedoc. €22 from Le Caveau, Kilkenny, Green Man Wines, Terenure, 64wine, Glasthule and other leading independent wine shops. 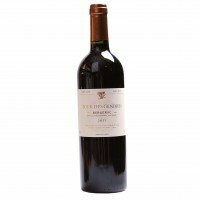 Smooth elegant wine with ripe blackcurrant fruits, a touch of spice and a long dry finish. Serve it with roast red meats. Luc de Conti has long been a shining beacon in Bergerac, an underrated region next door to Bordeaux. I am a big fan of the Tour de Gendres ‘classique’ (see above) his entryish level red that sells for around €15. 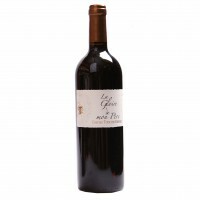 However for €7 more, you can buy the Gloire de mon Père, and glorious it is too. A blend of 50% Cabernet sauvignon, 30% Merlot and 20% Malbec, this is a Bordeaux lookalike of the very highest quality; except if it came from Bordeaux it would cost a lot more. A few very nice bottles over the weekend mostly grabbed from my stash of ageing wine. A blend, I think, of Grenache, Roussanne and Bourbelenc. Good quite rich peachy white with a bracing acidity. 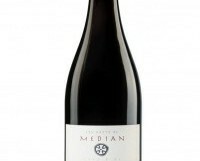 It cost around €13 a bottle (Cases.ie and Red Nose Wines, Clonmel), and is good value at that. Sent a few months ago as a sample, which I coravined to keep fresh. Good clean fresh, well-made Burgundy with a lip-smacking wet-stone character, light oak and a zesty lemon edge. Nice wine. Imported by Le Caveau. Sells for around €20 I think. I have been drinking a lot of Riesling (and a lot of Wittmann) recently. Philip Wittmann makes some lovely wines. This I bought a year or two ago, and it has matured nicely; medium-bodied with light honey, beeswax and a subtle nuttiness finishing dry. Great sipping wine while making dinner. I love Beaujolais and this is one of the great producers. I bought six bottles of this six years ago and recently started working my way through it. Delicious light soft cherry fruits. Wish I had bought more. I am not sure what sort of a vintage 2012 was in the southern Rhône but this was a very enjoyable wine. 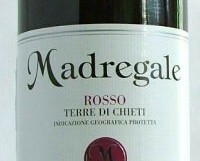 Medium-bodied with a wonderful purity of dark fruit, and hints of spice. A world away from some of the big, dare I say clumsy, wines of the Southern Rhône. I had kept it for a year or so. I bought six bottles of this and the 2007 vintage a few years back, and am both, but I think I prefer the 2006. Rich and quite powerful black fruits, cherries and blackcurrants, but with a nice refreshing streak of acidity and a good finish. Will keep for a few years yet.